With Frequency Loyalty it’s easy for clients to say YES! They want to come back they just don’t want commitments. Watch their faces light up when the find out they can earn discounts simply for coming back in time. 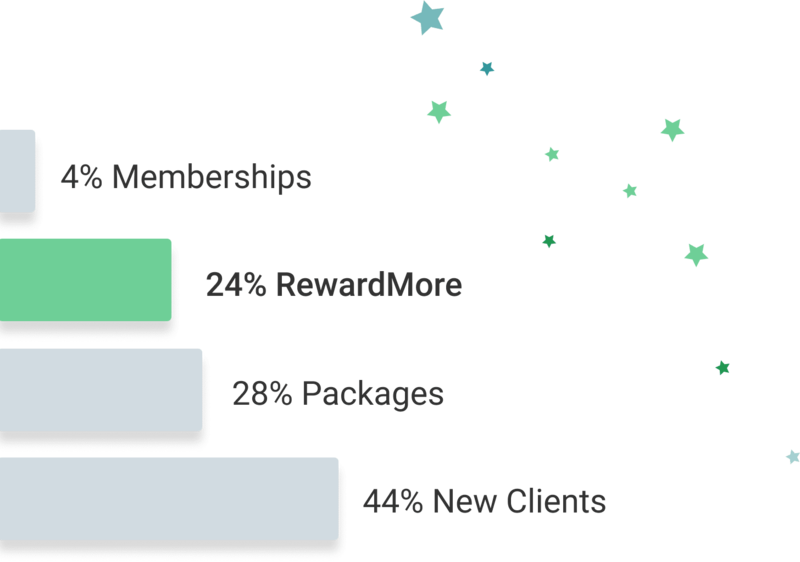 By only offering packages and memberships, about 70% of your clients are left without a retention program. This is a huge source of potential revenues that RewardMore can earn for your business. Your clients love your services and want more of them, they just don’t want to prepay or commit to fees. RewardMore makes it easy for them to visit more frequently with a customer retention program that makes everyone happy. Offer RewardMore to your clients who don’t want packages. With an 85% signup rate, it is an additional stream of revenues to compliment your package sales. Don’t miss out on the 24% of additional income that RewardMore delivers! Are you ready for an additional stream of revenue?